With the ever increasing capacity of technology and the development of an increasingly connected online world the amount of data collected is staggering. The promise and peril of big data are reported and debated on a daily basis in the media. But, how often do we take time to think deeply about the Big Idea of data. What data do we have access to and how does the data collected about us control our lives? How much do we know about our homes, schools, and communities? What algorithms impact our lives and who created them? What data matters in these environments and how can it be used to make lives better? Most of us abdicate the responsibility of data to experts and researchers and wait for the reports or programs to tell us what to do. Data is a resource that can be used for good and for ill, so we need to know more about data and how to use it to improve our worlds. The Big Idea is Data and the challenge is to learn about data in our environments and consider how everyone young and old can access, collect and analyze data to do good. Essential Question:How can we effectively use data to make the world better? Challenge: Use data to improve our communities! Why is it important to collect data? Who are the keepers of data? What data directly impacts me? How does data impact my school? What is the role of privacy? How do algorithms impact decision making and policies? What are some examples of positive use of data? What are some examples of negative use of data? Who collects data in my school and community? Can we have access to the data? Explore the various definitions of data. Investigate how data is defined and applied to different fields (Math, Science, Social Science, Sports, Arts). Pick a personal area of interest and consider the role of data. Keep a diary of your encounters with data on a daily basis. Interview school officials to learn about the most important data in school and what makes it important. Find out the types of data used to define your neighborhood. Invite a local politician or community leader to speak to your class about how they use data. Explore how data is used to make decisions in science. Learn about how data is collected in social sciences. Investigate how data is analyzed and visualized in math and computer science. Explore how data is used in literature and the fine arts. Explore different careers that are connected to using data. Discuss how data is used to evaluate your performance as a student. Spotify Insights – Spotify Insights provides timely, data-driven articles about how people experience music to journalists, music enthusiasts, students, and other curious parties. 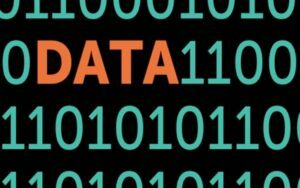 Ted Talk Data Playlist– A collection of TED Talks (and more) on the topic of data. How The Citizen Data Scientist Will Democratize Big Data– Exploring your role as a data scientist. Amazon Web Services Public Data Sets– Previously, large datasets such as satellite imagery or genomic data have required hours or days to locate, download, customize, and analyze. When data is made publicly available on AWS, anyone can analyze any volume of data without needing to download or store it themselves. American FactFinder– American FactFinder provides access to data about the United States, Puerto Rico and the Island Areas. The data in American FactFinder come from several censuses and surveys. CDC Community Health Data– Data and indicator analyses provide descriptive information on demographic and socioeconomic characteristics; they can be used to monitor progress and determine whether actions have the desired effect. They also characterize important parts of health status and health determinants, such as behavior, social and physical environments, and healthcare use. Data Quality Campaign– Why Education Data?